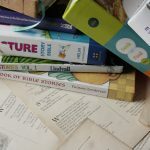 I have reviewed a few different story Bibles here, and I have written about why it’s important to read directly from Scripture with our kids. 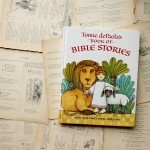 But our family is now moving into the season where our daughters are ready to begin laying bricks on the foundation prepared by story bibles with readings from Scripture itself, and in preparation for that, I rummaged around in Amazon’s recommended titles for full-length children’s Bibles. 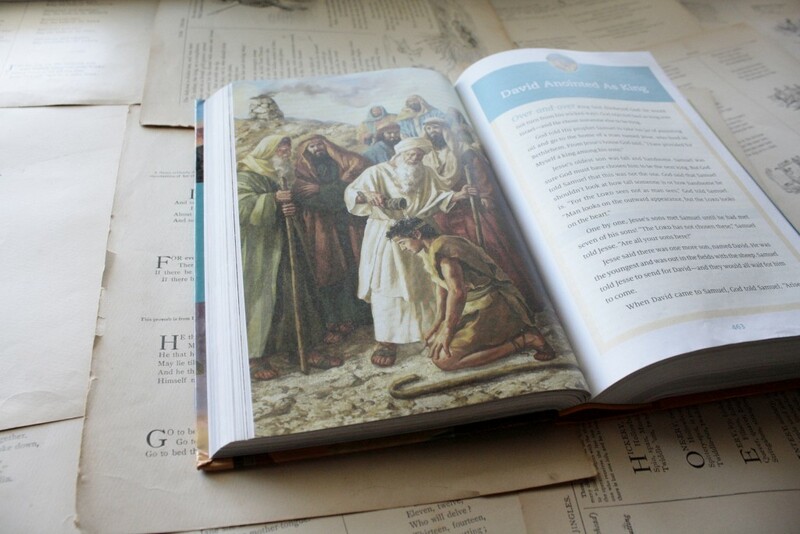 I wanted one that offers the full ESV text with just the right amount of maps and things. The illustrations didn’t have to be amazing, but they couldn’t be cheesy. The theology in the extra-Biblical portions had to be sound (obviously). 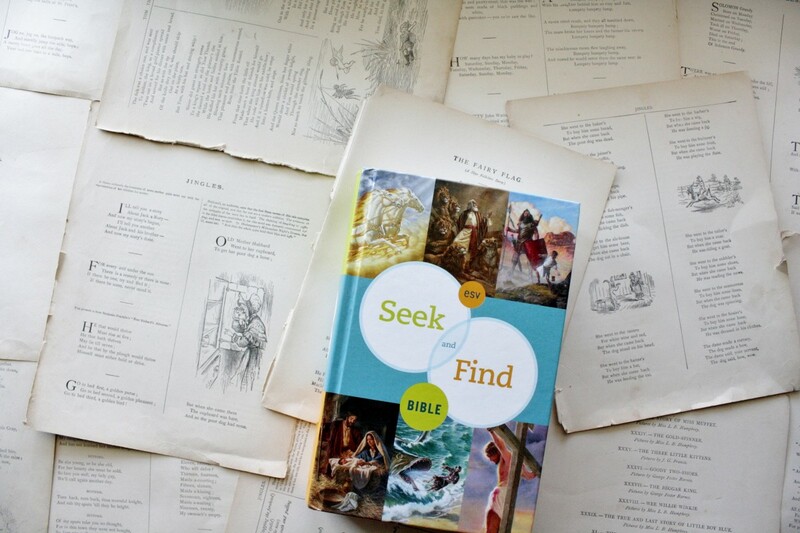 There aren’t many Bibles out there that meet those qualifications, actually, so I’m thankful that we found one that fits the bill as precisely as the ESV Seek and Find Bible does. 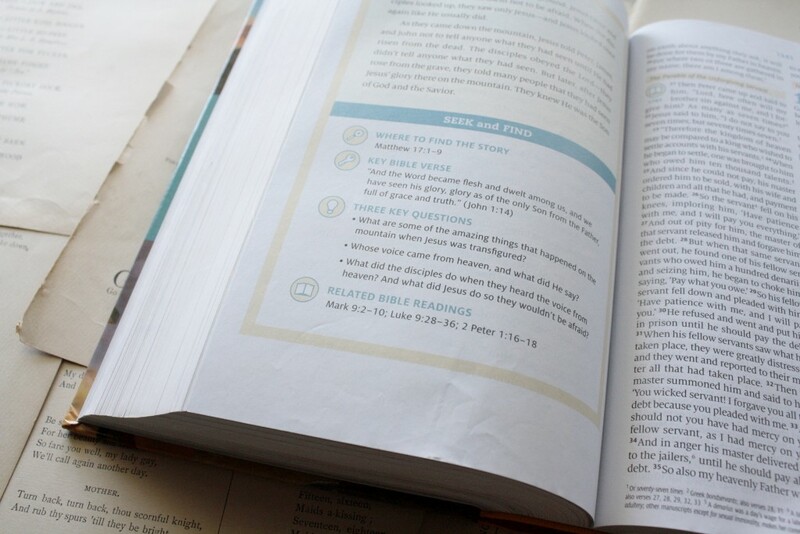 The extra material is presented in such a way that it sets kids up for very basic Bible study skills by quietly teaching them how to cross-reference and compare texts, identify key verses, and ask questions about the text that will help them understand it more completely. 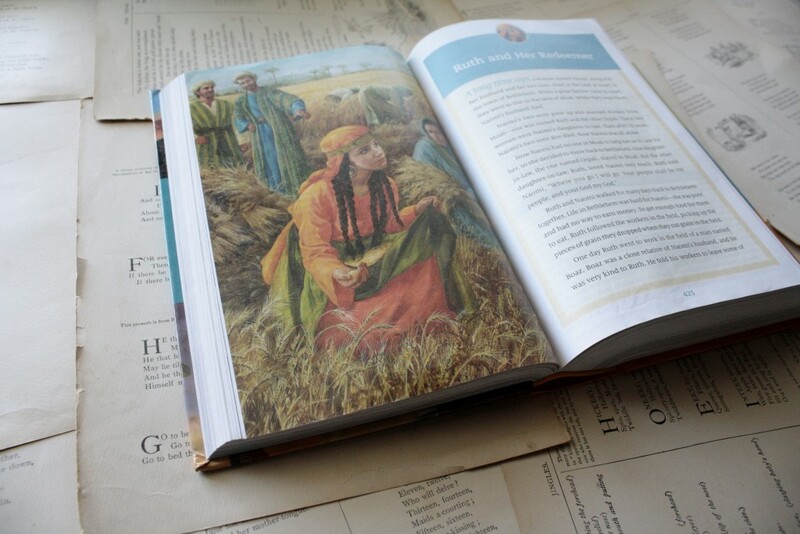 This Bible also contains paraphrased versions of the most familiar Bible stories. 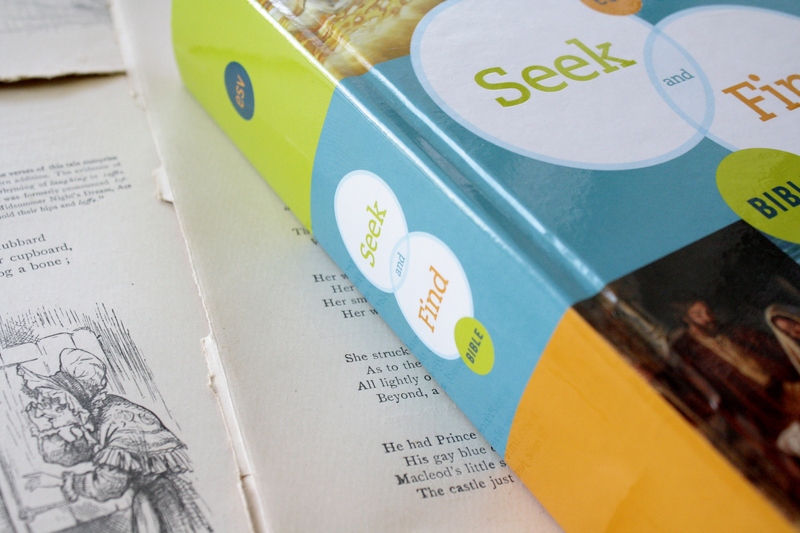 While the language in these is a little basic, they provide a great overview of the stories for kids who might find them helpful to read alongside the longer text (which is referenced at the end of the story). 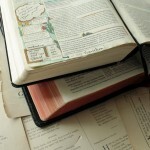 Best of all, they point each story forward (or backward) to Christ. 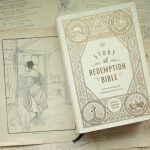 This approach roots each story in the gospel: in that light, Samson is not merely an action hero whose life culminates in an act of brutal revenge, but is a broken man made champion by God, who brought us the perfect champion in Christ. Isaac is the son promised to Abraham and Sarah, but he is also the forefather of the Son promised to the world. 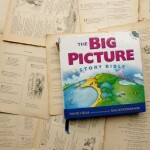 These connections prepare our children to read Scripture with the big picture in mind, looking for evidence of God’s work in the stories where he seems most absent and rejoicing in his faithfulness through chapter after chapter of his word. 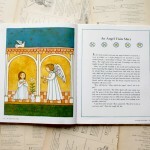 They join the stories of Scripture beautifully, like (to quote Marty Machowski), beads on the silk thread of the gospel.